STANTON, Minn. — You’ve got the genetics, now how do you take full advantage of them. Most producers in Western Canada plant seed with applied treatments, fungicide and insecticide. Virtually all canola is treated. 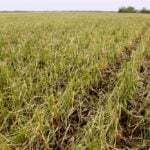 As well, in areas where soybeans and corn are the norm, all seed is treated, as it is in many small-cereal growing areas of North America. The Palouse area of northeastern is one such area where nearly all cereals are treated and seed-grower grown. Ensuring that those treatments, the products and the rates are right for the crop, that the applications remain on the seed and they prevent exposure to the many perils of the environment, requires research and extensive testing. For Syngenta, ensuring the products are right for the seed and don’t impair the co-products, such as living inoculants, means putting its technology through the same tools that producers and commercial treaters are using in the field. Ravi Ramachandran heads that company’s newly expanded Seedcare Institute for North America in Stanton, Minnesota. Located in rolling farmland south of Minneapolis, the company has invested US$20 million in the 38,000 sq. foot facility with its mix of laboratories and farmer, staff and technician education facilities. But in one lab, the iron meets the seed. It looks a lot like a two and half storey farm shop or the best seed-shed ever seen. 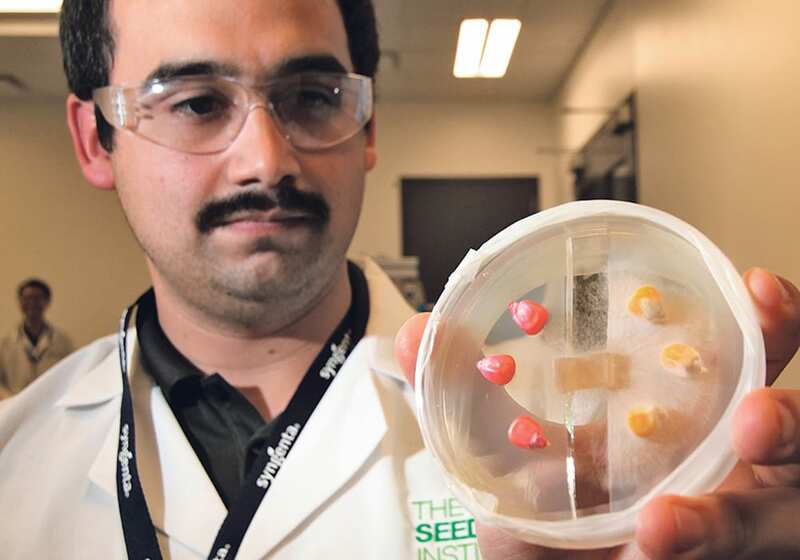 “We can test everything that seed could experience in Saskatchewan or Texas. Hot, cold, damp, dry. We can simulate it here,” said Ramachandran. The latest seed treatments have reduced the amounts of active ingredient being applied to as low as 1.2 grams per 100 pounds of seed. Ensuring that these products are applied evenly and reliably over entire seed lots is a challenge for coating formulations. “This is where we develop those. Every seed needs to take a customized approach. And every seed treater is different. So we test the same equipment that is running out in the field,” he said. Seeds are not all alike when it comes to accepting and retaining coatings. There are long, flat seeds and tiny round ones; some with oils on the surfaces and some highly absorbent. Each needs special attention. Doug Bauman of Syngenta said the facility performs 16 separate assessments for each formation. The climate chambers at the facility allow the company to run treaters and seed at real-world temperatures. “North of Edmonton in April treating seed that been chilling all winter is an example of what these products have to accommodate. It takes a lot of recipe development. Maintaining safety and biology and good stewardship,” he said. 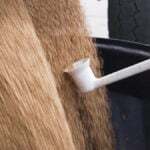 Today’s seed treatments are nearly all water-based, as compared to older technologies that are solvent-based, making them tricky to formulate for very cold conditions. “At the same time, a farmer applying a product in south-Texas might be dealing with 110 (F), rapid drying,” he said. “From batch treaters to equipment that maintains a continuous flow, we have to ensure the products work reliably,” said Bauman. “Unlike lots of products farmers invest in, seed treatment gets blown into the ground. It can be harder to place the value on. Nothing dies on top of the ground that you can see working. Unless you have check-strips. 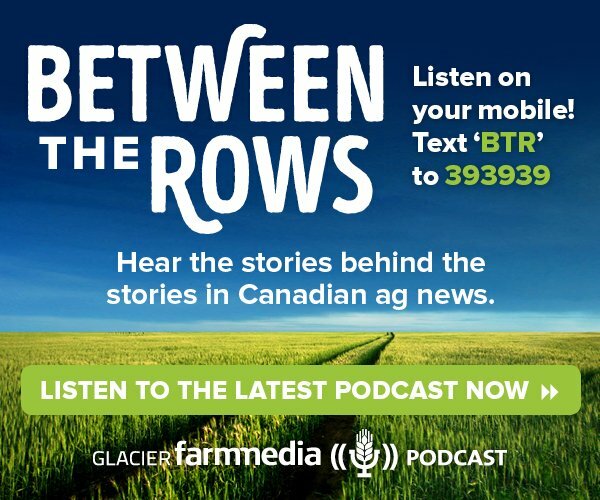 And farmers tend not to leave those,” said Bauman. John Wells runs many of the tests in the Seedcare Institute’s testing lab. “We do it all in here. We bring in the machines that you find being used in the country. Fifteen crops; upstream; downstream; box to box; on-farm systems; rotary and batch; we are an agnostic company when it comes to treaters. We test them all,” he said. Inside that end of the facility equipment from treater builders Cimbra, KSI and USC are mounted in layout that typically show up in the field, complete with mobile trailer mounts in some cases. Ramachandran said the value of the facility is that recreates what happens for farmers, from application to germination and beyond. Syngenta maintains 15 of the centres, with Stanton being one of the largest. In Ontario, the Honeywood facility handles similar work on a smaller-scale. The global headquarters for the labs is located in Stein, Switzerland. 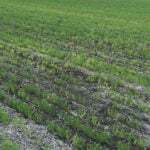 Neonics: better alternatives or only option? Will Ont. neonic crackdown spread West?